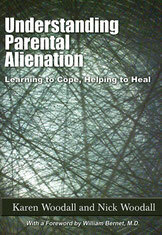 One Click Away - Nick Woodall - family separation practitioner, writer and parental alienation specialist. 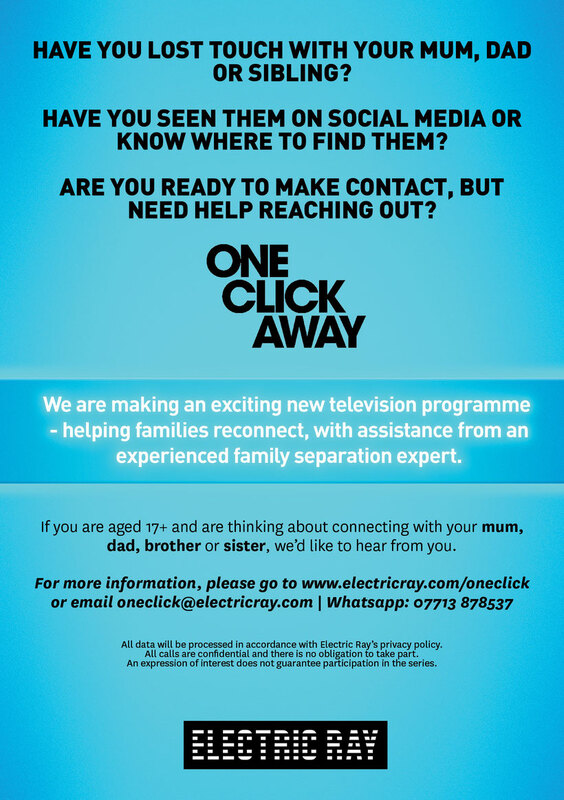 1 in 5 UK families experience estrangement but social networking sites have made it easier than ever before for those affected to see, and get in touch with the people they’d like to be reunited with. Making initial contact might seem easy – just one click away - but knowing what to do next can be hard to navigate without expert help. In One Click Away an experienced family separation expert will support and guide the estranged family members through a robust process. The TX Pilot has been commissioned by Channel 4 Head of Features and Daytime, Gill Wilson and Commissioning Executive, Vivienne Molokwu. It will be Exec produced by Karl Warner and Meredith Chambers from Electric Ray.